Below is a list of common questions (and answers) we are asked by owners prior to bringing their pets in for a hospital procedure. We have also listed the questions/optional extras you will be offered for your pet at the time of admission. If you have any questions regarding your pet’s procedure, or any of the information listed below, please contact us at any time on 9878 3033. Drop Off Time: All surgical patients are to be dropped off at the clinic between 8 – 8:30 on the morning of the procedure, unless advised otherwise. Can I feed my dog or cat breakfast? No. Cats and dogs should not have anything to eat after 10pm the night before the procedure, including no breakfast on the day of the procedure. Please allow them access to water overnight, and take it away in the morning. Do I fast my Pocket Pet? No. 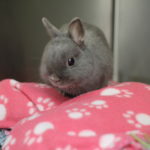 It is not necessary for pocket pets such as rabbits, guinea pigs, mice, rats etc. Please leave normal food out all night and bring some with you in the morning to the clinic. What should I do on the morning of surgery? Please take away your dog or cats water bowl in the morning. For dogs, please take them for a brief walk if possible so they can go to the toilet before admission. Medication: Please bring in any current medication the vet has prescribed to your pet. Do I need to see the vet on the morning of my pet’s procedure? In some cases a review or follow up health check is necessary prior to the hospital admission. The nurse will advise you if this is necessary at the time of booking the procedure. Would you like your cat or dog to receive Intravenous Fluid Therapy for their procedure? Intravenous Fluid Therapy (IVFT) (also known as ‘a drip’) involves placing a catheter in the leg of your cat or dog, and administering fluids at a specific calculated rate. 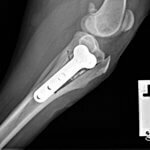 The benefits of IVFT include keeping your pet hydrated, maintaining and controlling blood pressure, and it allows the body to metabolise the anaesthetic drugs faster for a quicker and smoother recovery. For older patients e.g. who are more prone to renal disease, the vet might advise you that IVFT is compulsory to assist your pet with ‘flushing’ the anaesthetic and other drugs out of their system. Having a catheter placed also allows quick access for the vets and nurses to administer any emergency medications in the unlikely event of a problem under general anaesthetic. For dental surgery and major procedures, the vet will have include IVFT in the cost estimate. For other routine procedures such as desexing, you will need to advise whether or not you will like to include IVFT for your pet. If you are unsure, please contact us or speak to the admissions nurse on the day of the procedure. Would you like your cat or dog to have a Pre-Anaesthetic Blood Test? A Pre-Anaesthetic Blood Test (PABT) involves us clipping a small amount of hair from your dog or cat’s neck and taking a blood sample to run in-house on our pathology machines. The results of this blood test gives us valuable information on your pet’s health status, such as kidney and liver function, red and white blood cell counts etc., and helps us make an informed decision as to whether they are fit to undergo a full general anaesthetic. We STRONGLY recommend a PABT to be performed on patients who are 7 years or older and have not had a blood test within the last 6 months. Sometimes the vet will include this blood comparison test in the cost estimate provided for the procedure if there are suspected underlying health concerns, otherwise it is considered ‘optional’. PABTs can also be very useful for younger patients who have been unwell, or for owners who would like a baseline blood profile for their pet for future reference should they become unwell. Once the blood test has been run, you will be contacted only if there are any abnormalities the vet needs to discuss with you prior to proceeding with the procedure. In some cases where abnormalities are detected, the vet will be calling you for permission to take another sample to send to our external lab for further testing and interpretation. The cost of this varies depending on the test, which will be discussed with you at the time. Please note: we do not offer a Pre-Anaesthetic Blood Test for pocket pets. Would you like us to place a desexing tattoo in your cat or dog’s ear? (For desexing procedures only) We offer tattoos for all desexing procedures, however it is no longer a legal requirement by the Whitehorse Council. Some owners still prefer to have the tattoo placed, particularly for females as it is hard to tell their status from external examination, unlike males. The tattoo is placed inside the left ear, and is a circle of dots with a line of dots through the middle. The main reason people choose not to have the tattoo placed, is because their pet’s ears stick up and the tattoo is very obvious. If you do not wish to have the tattoo placed, please contact Central Animal Records after the procedure to change your pet’s status to ‘desexed’ on 03 9706 3187. Please note: if you dog or cat escapes your property and is taken to the pound, they will re-enter surgically to ensure the animal is desexed before they are released if there is no indication of previous desexing. This is why it is so important to update your pet’s status on their microchip details if you choose not to have the tattoo placed. Would you like us to give your 6 month old puppy a Proheart (Heartworm) Injection? If you are admitting your puppy for a desexing procedure at 6 months old, the admissions nurse will discuss Heartworm prevention with you on admission. If your puppy had a Proheart (heartworm) injection at 12 weeks old, they will be due again at 6 months old, and this can be done at the time of desexing. If you are giving your a puppy monthly worming treatment that include heartworm prevention, the Proheart injection is not necessary. If you are unsure, the nurse will be happy to discuss this with you upon admission. Please note: If your puppy is less than 6 months old at the time of desexing, we are not able to give the Proheart injection. However we can offer you a complimentary nurse consultation when your dog is 6 months old to administer the injection (only the injection fee applies). Will you need to contact me throughout the day? Yes! It is very important that we are able to contact you throughout the day to discuss your pet. This could be to discuss blood test results, report unexpected findings, get permission to change the treatment plan as a result of examination under general anaesthetic (e.g. for dental procedures), and in rare cases discuss emergencies. Because our priority is to reduce the amount of time your pet is under general anaesthetic or sedation, by signing the consent form you are authorising the veterinarian to perform any necessary treatments in the event we are unable to contact you. When can I pick my pet up? For each procedure we endeavour to contact you once your pet is in recovery, however sometimes due to emergencies or major surgical procedures we are not always able to contact you straight away. We ask that if you haven’t heard from us by 2pm on the day of the procedure, please contact the clinic for an update on your pet. When we speak to you at this time, we will advise from what time your pet can be picked up from hospital. This will be at least 2 hours after to waking up from their anaesthetic or sedation, as we like our patients to go home only once they have fully recovered. For major procedures such as orthopaedic surgeries, abdominal surgeries or for elderly or ill patients, it is in their best interest to stay in hospital overnight on a drip with strict cage confinement. Please note the hospital is not attended between 8pm and 8am, so critically ill patients may be referred to the Animal Emergency Centre for overnight medical monitoring. 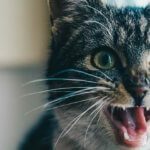 Will I see the vet or nurse when I pick my pet up? For non-routine procedures you will have a discharge appointment with the vet to discuss the procedure performed, the follow up plan, and any medications required. On rare occasions your pet’s treating vet may not be available to see you in person at the time of discharge. If this occurs, they will discuss findings and the plan with you over the phone and the discharge nurse will hand over any medications or paperwork. For routine procedures you will have a discharge appointment with the nurse. Should I bring any food or bedding for my pet? For cats and dog having day procedures, bringing food or bedding is not necessary. If your pet has a specific diet e.g. for food allergies, and you are not able to pick them up until later in the evening, please bring a small labelled container of their food with you at admission. If you pet is staying overnight, please bring enough food for their stay in a labelled container or bag, and bedding or a blanket that smells like home. For pocket pets, please bring them in their normal carrier with food in a container and water dispensers. 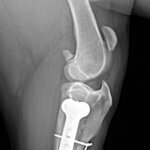 Will my pet need to be seen again after their procedure? A follow up appointment is always required for every procedure. This may be a complimentary post-op check with a nurse, or it could be a review appointment with the treating vet (a fee applies). 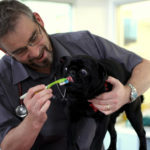 The vet or nurse will advise you on discharge when the follow up appointment is due. If you have a question at ANY stage in the lead up to your pet’s procedure, please do not hesitate to contact us on 9878 3033.